Frank Runyeon will present a one-man performance, “Sermon on the Mount,” followed by a talk on “Hollywood vs. Faith” March 6 at Nativity of Our Lord Church, Warminster. Nativity of Our Lord Parish, Warminster, will host a Lenten evening of reflection and humor for the whole family with a live performance with TV personality Frank Runyeon on Sunday, March 6. 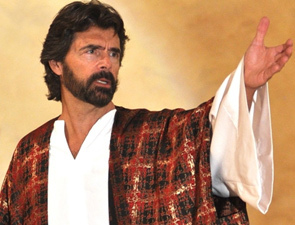 Longtime actor Runyeon uses both drama and humor appropriate for all ages to communicate the Gospel message. He will also discuss the challenges people face with trying to live their faith in a world dominated by the Hollywood culture. There is no admission charge but a free will offering will be accepted. Nativity is located at 605 West Street Road in Warminster. See more information on Runyeon and his performances at www.runyeonproductions.com.